When the app works (and when DSBs server is live) the app gives me the basic information on train departures at the nearest station, the very same information that is displayed on the station screens: When is the next train. I really would have liked selecting the station myself, since it is not always the nearest station which I'm heading for, but that feature may come with the next version. The output are grouped by directions shown in DSBs internal terminology: the north and south. And since it is the same direction across the network, I will at Peter Bangsvej see trains to the south, towards Vanløse, although the train is heading northwest. 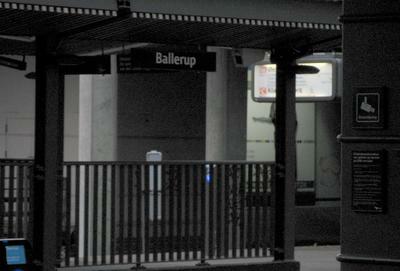 And the trains are running north towards Valby, although it actually is to the south. What else to say than: The internal references should be removed, passengers are not running after the compass anyway. This may be due to my phone or the connection, but the the app is the culprit. Worse is that you really cannot trust the app. Sometimes it displays a wrong station, other times the content is not updated. It can show 2 minutes for a train that is running. I need a ‘Refresh’ button. A time since last download of data could also help. To conclude, I have a useful, but also unstable and unfinished app, which therefore appear unfinished and sloppy. And yet I end up using the app pretty often ... while I'm crossing my fingers that the time is right this time. 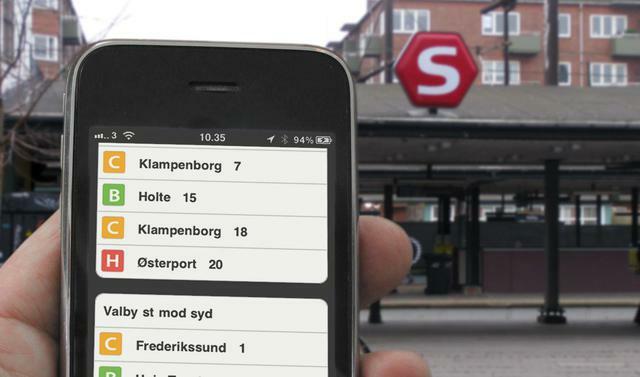 DSB S-tog app offers some of the info I need ... That's the apps can do. They are very useful to get information when you are not close to where the information can be found. It also raises the question about how close to the source "close" is and how you expect to find information in the public space. The station for example: Where the station or platform is in sight, mayber within 100 m, where the station is connected with a center or a traffic center ... in such places I would expect to see signs with departures times at access to the station. There is no reason to climb onto the platform if there is plenty of time to the train and I could have used the time for anything else. Of course I could have used the S-top app, but it just feels awkward to be located right next to the spot and then feel obliged to consult with an app to get information about that spot. An app should generally be an expansion of available options, not a replacement. Otherwise it may well be too poor. I would love to find the station as the picture below. But the picture below is fake. There are no information boards on the train to be seen from outside the station. When is my train? I must be inside the platform to get that information. That is the normal picture: stations and platforms are not designed for you to see departure times before than you are almost at the train. Ordentlig information giver mulighed for disponere tiden: Gå, løbe, spurte eller kan jeg lige nå i kiosken. Det kan synes som en lille ting, men sådan fungerer detaljen i dagligdagen. 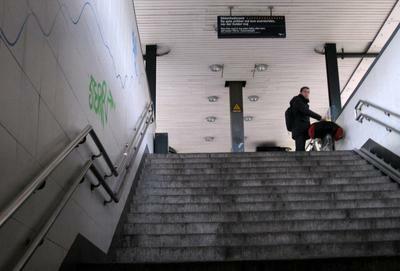 På Valby station skal man et godt stykke op af trappen for at se afgangstider. 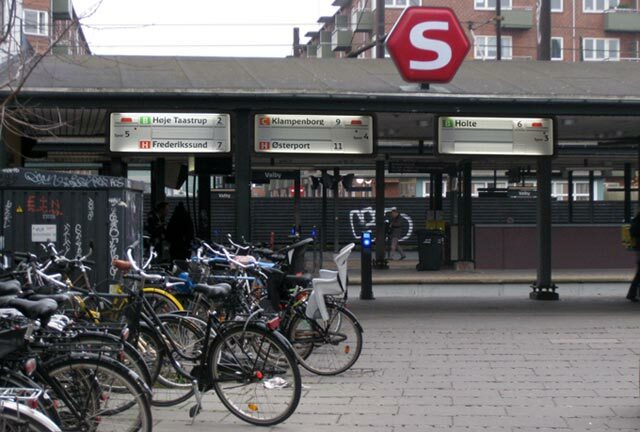 På Ballerup station skal man et stykke ned af trappen til tunnellen for at se rundt om diverse forhindringer.